I feel somewhat exhausted. Approaching Ecce Homo with something akin to trepidation, it’s been proven that my expectations are often very accurate. 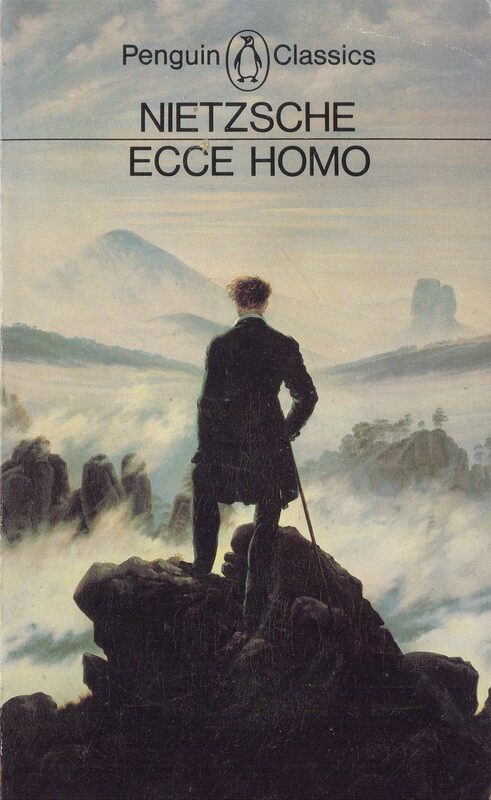 Nietzsche was certainly a trial, but I’m glad that I read Ecce Homo, my first exposure to this singular German philosopher. Wow, Nietzsche would hate that description. He despised Germans and felt philosophy was a fraud. In any case, he didn’t like most things, so any way I described him, I’d be in danger of his patronizing, scathing invective. Ecce Homo, or How One Becomes What One Is (Wie Man Wird, Was Man Ist) was the last book that Nietzsche wrote before his death and gives insight into the man, his ideas and his works. 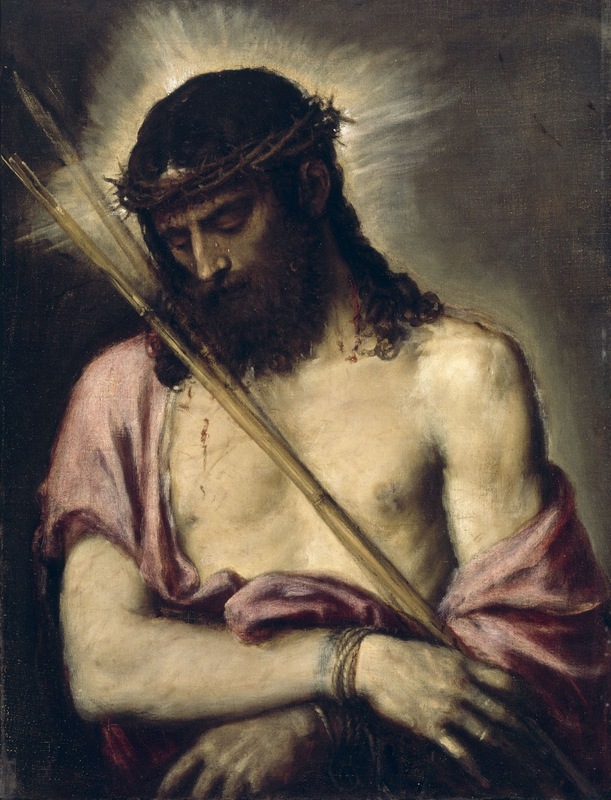 The words “Ecce Homo” are taken from the words Pontius Pilate used when he delivered Jesus, scourged and bleeding, to a riotous crowd right before he was taken to be crucified. Nietzsche hated Christianity because he felt that it was the mechanism for the function of society and, therefore, was responsible for everything that was wrong with it. Yet while the book gives enlightenment, it does so from Nietzsche’s perspective, words coming from a man who already seemed in the throes of the mental illness that would bring about his death. It’s certainly helpful to see it in this light. There is more blather stating that compassion, rather than being a virtue, is a weakness, and he references his work, Zarathustra, for proof (in this I believe Nietzsche misses making the distinction between false compassion and true compassion); and labelling rudeness as one of the foremost virtues (again, he muddles benevolent frankness with lack of resolution and fortitude to deal with issues). He claims that he can attack causes with impunity, and that there are no hard feelings from the victim, yet in his next chapter he states, “May I make bold as to intimate one last trait of my nature which causes me no little trouble in my dealings with people?,” indicating that his relationships are not so harmonious as he’d like to believe. I seriously asked myself if I really wanted to know why Nietzsche thought himself so clever, but, foolish me, I decided to keep on reading. 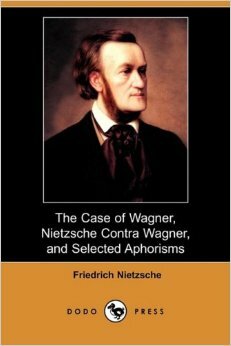 Within these four topics, Nietzsche likens reading to letting an alien climb over your wall; claims he reads the same books because he is opposed to new books by instinct; states everywhere that Germany extends, it ruins culture; that we are all afraid of truth; and that Wagner to him, is like hashish. It sounds bizarre and, quite frankly, is, but there are certainly some interesting ideas in Nietzsche’s convoluted onslaught of aberrant thought. He claims that he now cannot avoid the question how to become what you are, but then digresses, and I can’t find anywhere where he answers it. And asked why he concentrates so much on the small issues of above, Nietzsche alleges that to-date everything that man had deemed important is, in fact, lies because we have searched for divinity in human nature. We must start relearning and therefore, we must begin with the basics. Nietzsche is resigned to the fact that no one will be able to understand his writing, feeling no ill-will towards anyone for their lack of intellect. Nietzsche then outlines each of his books, spending most of his time lauding their brilliance, mentioning the few geniuses who have enjoyed them, and condemning everyone who disliked them. First, an attack on the German education system. I found that this was the first time I actually agreed with Nietzsche. He purported that there was no evidence at all that Germany’s military success was a result of their education. The school system in America is apparently an offshoot of this Prussia model. I found an interesting article about it here. One of my favourite authors, John Taylor Gatto, talks about this model in his book, The Underground History of American Education. I highly recommend it. The second attack is titled, On the Uses and Disadvantages of History for Life. Nietzsche warns of the dangers of “our kind of scientific endeavour, what there is in it that gnaws away at life and poisons it —- life made ill by this dehumanized machinery and mechanism, by the ‘impersonality’ of the worker, by the false economy of the ‘division of labour’. The end, culture, is lost — the means, modern scientific endeavour, barbarizes ….” Hmmm ….. is it possible that I might again agree with Nietzsche? That would be just too weird. The third and fourth Untemelies, titled Schopenhauer as Educator and Richard Wagner in Bayreuth, give an impression of “a higher conception of culture, towards the restoration of the concept ‘culture'” in which two images are set, having the highest contempt for everything around them that is synonymous with the present culture. I doubt that I’d side with him here. Nietzsche appears to take great joy in upsetting everyone around him. I wasn’t quite clear as to what exactly this work was about, due to Nietzsche’s ambiguity and his habit of digression, but it appears that he mentions things favourable to Voltaire, and addresses his break with Richard Wagner. Why am I not surprised that he extols the thoughts of Voltaire? 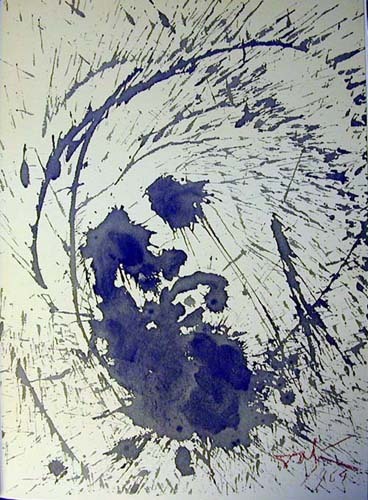 The work apparently evolved out of some mental crisis that Nietzsche experienced during the Bayreuth Festival when he felt a “profound sense of alienation” and went off into the forest before being coaxed back by his sister. 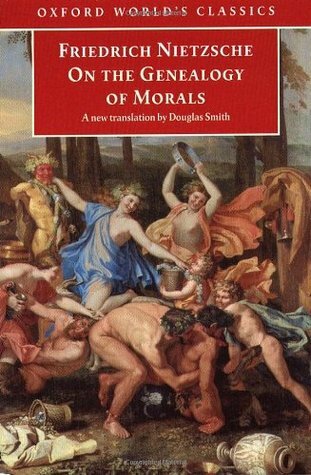 Nietzsche states that this book commenced his war against morality. Again, Nietzsche commends his work and genius, rather than getting to the meat of his ideas. Good grief! You want to counter this statement but where do you start? Does he think that there have been no societies that have tried to live without morality? Is this morality-proper or Nietzsche’s type of morality? Can one truly escape some sort of morality? 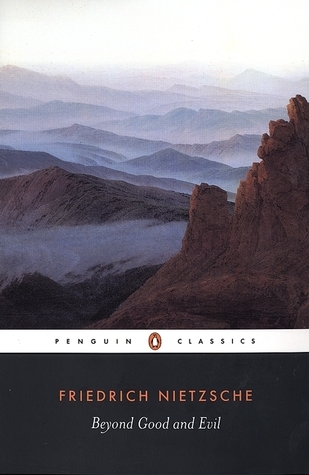 Thus Spoke Zarathustra: A Book For Everybody and Nobody: Again, it’s best for Nietzsche to describe this, in his often lovely prose ~ what it means, however, one is often left wondering …. I won’t sport with your intelligence in continuing to relate just how much more knowledgable and astute Zarathustra (and therefore, Nietzsche) is than you will ever be. Beyond Good and Evil: If Nietzsche doesn’t catch any “fish” with his works, what could that mean? The cause? Is it perhaps because his arguments don’t make sense or people can’t relate to his delivery? No! According to Nietzsche, it means that there simply weren’t any fish to be caught. This actually sounds somewhat interesting to me. Nietzsche is the first to have “the yard-stick of truths in his hand.” He is the evangelist to truth, and everyone was lost before him. What follows is more exaltation of evil and lying, and conversely Nietzsche advocates war against the good, benevolent, the beneficent, and Christian morality. More invectives against Christianity follow, the content of which makes me wonder if Nietzsche really had an issue with Christ, or simply with the way Christianity had been presented to him. In any case, it really doesn’t matter. 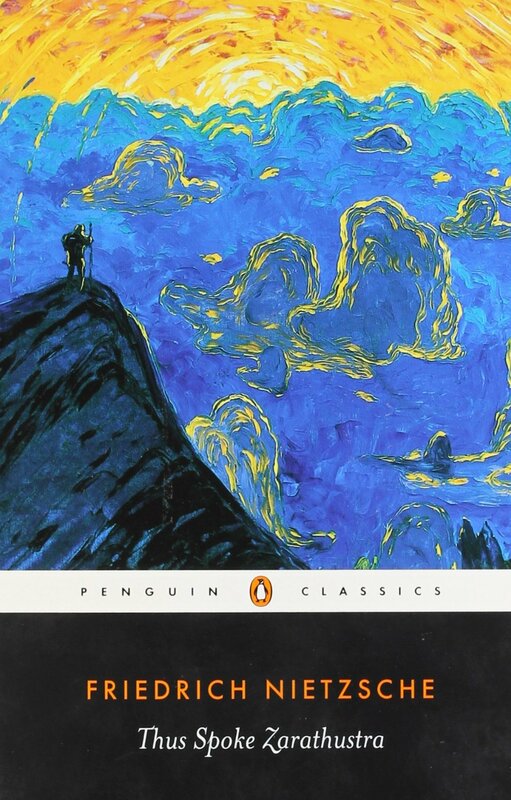 At this point Nietzsche had drained me, and I predict that I’d have an issue reading any work longer than this book of his, which is only 138 pages. He signed this work ~ Dionysus against the crucified one ~ Nietzsche aligned himself with the early Greek philosophers and thought of himself as a modern-day Dionysus. Never mind Dionysus —– Nietzsche is the consummate Narcissus. He placed himself in the position of God; everything was measured by his own thoughts and emotions, and judged accordingly. Since he was so much above everything and everyone, is it any surprise that all fall short of his ideal? Perhaps that is nothing, and for a great philosopher is understandable. Yet the contempt and the disparagement that he exhibits towards nearly everyone, not only severely undermines much of his philosophy, but also twists his ideas into a mass of writhing snakes where one is at a loss to find the proper head and tail to each. I found some of Nietzsche’s ideas fascinating, but as soon as I started to read his arguments that developed those ideas, he often lost my interest. Not only were his disputations littered with self-praise, ambiguity and circumlocution, he often didn’t make sense, or perhaps I should say that, in this book, his explanations didn’t go far enough. He also spoke from a very ethnocentric point-of-view. Although he believed that he borrowed ideas from the ancient Greeks, almost everything he criticized was German, and everything he wanted to fix related to German society. I’m not sure how well some of his arguments would hold up in other countries, but my brain is too done to wonder about this ——- no, my brain is not tired because it explored wonderfully deep amazing thoughts; it’s tired as if it’s had to put up with a recalcitrant child for the last couple of weeks. And so ends my first experience with Nietzsche. I am quite enjoying my WEM Project. It’s forced me to read some books that I probably wouldn’t have touched otherwise. I didn’t particularly enjoy Nietzsche but look at the length of my review! He at least inspired something, even though it wasn’t admiration. 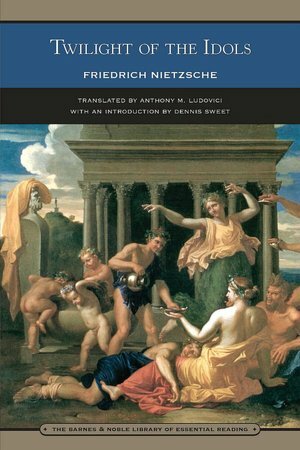 This entry was posted in 2015 Books, 52 Books in 52 Weeks, Author: Nietzsche, Biography, Books in Translation, Classics, German Lit, Philosophy, WEM Project by cleopatra. Bookmark the permalink. Wow! I am in awe of your great posting. 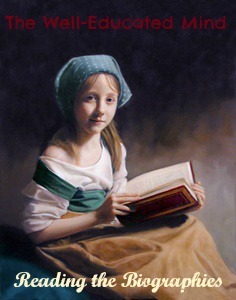 There is so much to digest that I will return later for another reading. Your posting comes "just in time" because of what has been on my mind; I have written about those lingering concerns at Beyond Eastrod. Perhaps you will visit and comment. Again, thanks for your incredibly valuable posting. Cleo, this was really well done considering what you had to review. It was not easy, but you have outdone yourself. Very thorough, and I am truly impressed. You will chuckle when you read my infantile review, but I wasn't willing to do the immense work, as you have successfully accomplished here. Some things I experienced as you did, too: the Prussian/American education example I remember from reading Gatto. I also think I saw it in one of those video pictographs online by someone else, but I would have to look for it. I definitely recognized that Nietzsche (hey! I spelled it w/o looking this time) put himself in the place of God; he made himself his own little god and measured all and everything by his ideals. And I also believe he hated organized religion; it put a bad taste in his mouth. Well, he's not alone, as history has shown us how men have utterly destroyed the practice of faith and turned it into a way to exert power and control people, and become rich doing so. He equally rejects the Protestants and the Catholics, though I do not recall him specifically saying so. I think it was just obvious. One other thing: I am doing this long term Manly Reading Challenge and Beyond Good and Evil is on the list, so I may have to read more Nietzsche (opps, that one I messed up) in the future. Are you back, R.T.? Oh good! Thanks for your kind comments. I was surprised by how much I had to say. Nietzsche definitely spurred on many thoughts, but how valuable at the end of it, I wonder …… I hope you're doing well! Well, you need to recover from your fantastic Grapes of Wrath post, so Nietzsche should be shorter. Did you find yourself getting completely impatient with him? I did and I was worried the feeling would transfer to my review and I'd just want it over with! I do wish people would make the distinction with disliking God or disliking organized religion. We often do a terrible job of representing God, as you say. People are so fallible. I'm reading through the Old Testament and oh, goodness, the number of times the Israelites completely messed up is astonishing. Over and over again they do completely idiotic things, yet God is still there. It's mind-blowing and lovely at the same time …. but I digress …. Oh, yeah! The OT is a great lesson about God. The Israelites disobeyed, turned away from God, and sinned against Him. And God knew they would, but He chose them to be an example for us, for everyone, if we would understand that man is flawed and needs redemption and salvation – a Savior – who will bring them into a right relationship with God. He would show us mercy and grace and forgiveness, if we would just turn back to Him. That is what the Israelites needed to learn, and it is what we must remember and do. It is a great history, too. I won't read Beyond Good and Evil for a looooooong time, so if I'm still around, I'll let you know. Do you ever read anything light? I mean Nietzsche???!!! I read him in college only because he was part of Comparative Philosophy…but he never wrote any philosophy, it has always been narrow minded rants without thought through logic…no wonder Hitlerian Germany found him as an ideal patriot for "the fatherland"! Hi Marian! Great to see you around again! Nietzsche is trying. And therefore, somewhat exhausting. But he is interesting. I was re-reading some of this book today and wondering how he could believe some of the things he did. I think his philosophy would be perhaps somewhat applicable if society was the way he perceived it, I just don't think that his perception of society was real. I'm guessing, but he strikes me as a very isolated fellow — not only physically, but mentally too. When you live in isolation you can get strange. Great point, which highlights that we don't always have to like a book, for it to be a benefit to us! Hee hee! Yes, I do read light books about half way through and then stop ……….. No, not really. Seriously though, I have finished both Pride and Prejudice and Sense and Sensibility, but I'm stuck on what to say about them for a review. Narrow-minded rants without thought through logic is a pretty accurate description of most of it. He must have been a very unhappy person deep down. Why else would you continually have to tell everyone how great you are? What started out (I thought) was to be a review on N's Ecco Homo turned out to be an unexpected walk thru of many of his books! You have exhausted yourself with this blogpost…..whew! You left me with a general impression of N: highly emotional, spontaneous, unhappy, at times even mentally with a brilliant mind he has trouble controlling! Sad otoread he would rather shock his readers rather than quietly reason with them. My compliments for all your reading effort and now you have definitely earned the pleasure of buying a good book you really like. Your write ups are always so well done! I'm still plugging away at this read, but I can see you highlighted the same things I did in the portions I've managed to get through. I find it hard to pick the book back up, as it really is a mental workout trying to follow his train of thought. Highly emotional is a good description, yet emotional in an unemotional way. He appeared to only be able to connect with people on an intellectual level. I think he was very lonely and lost. I'm enjoying my Canterbury Tales so hopefully they will make up for the slog of this one! Hey, you! I was so happy to see that you were able to at least start this one. His thoughts skid all over the place and it's an effort to keep up. Or he says he's going to be talking about something and then ends up talking about something else (reminded me of Montaigne). I hope you can get through it. Not too many pages and it will feel like an accomplishment!! And concluded much the same as you. He picks no bones about "useless" people, who they are (religious, weak, sick etc.) and how they should voluntarily give up their lives in favor of the "uberman". What disturbs me is how many college professors believe in his sayings and when one points out the logical conclusion of his beliefs (like the holocaust) the insist N. was "misunderstood." Very bold review. Good for you! I have a vague interest in taking a philosophy class that covers Nietzsche, however I don't know how anyone can take him seriously. Other than mining for a few interesting ideas (although it's like searching for a needle in a haystack), I'm not sure how one can take anything useful away from his writings. He not only handcuffs you with circular reasoning, which leaves you nowhere, he makes wild generalizations and doesn't back up his thought process, following it through to a logical end. Phew! He's draining! Thanks for the kind words! Glad to see that you're enjoying your vacation! I also meant to add that I found your observations about Prussian education and it's connection to our own public school format to be very interesting. I would love to study this further. If you could recommend any books on the subject I would appreciate it. I agree! He must have been really unhappy! But here's my thing Van Gogh was unhappy, but he made things of beauty, while this guy…well he lost it! Ooo, I found this video on Youtube that gives a good overview: https://www.youtube.com/watch?v=pb7iR3JgoOo but it's just the beginning and doesn't cover the many people involved and their ideas and philosophies. Anything by John Taylor Gatto is great. I recommend his The Underground History of American Education (I think at some point you could read it online) — his other books are sort of simplified versions of this one and don't always contain all of the information. Some of the quotes he includes are frightening. Gatto taught for 35 years in the NY system, winning teacher of the year for 5 years in a row, then quit and has been speaking about the problems of institutionalized schooling ever since. His students absolutely love him and he has been the reason a number of "problem" kids have grown up to be mature functioning citizens instead of dead on the street. I absolutely love him. I read his books first, and then he gives you lots of rabbit trails to go down from there. I enjoyed Harry Potter but the last book ruined it all for me. I'm sure I would have re-read them already if it hadn't been for that book. Ooooo, Russell ……. I tried him once and didn't get far …. perhaps I'll try him again. I'll be interested to find out what you thought of him. Great! I'd love to hear your comments after you finish. What makes Gatto's viewpoint valuable (and yours) is that he worked for years in the system and knows it's weaknesses AND he's also done tons of research. Sometimes his train of thought can be hard to follow but it's because he has so much information in his brain. I also love how he not only investigates the effect of compulsory schooling on education, he takes it further than that, showing it's negative impact on our communities and society. It's an illuminating read. Oh wow. I would have gone demented after reading a fraction of what you've read of Neitzsche's delusions of grandeur. The education comments are interesting & I was struck the whole Prussian element when I read Gatto's book a few years ago. Well done. You should get a special award for your accomplishment! I've wanted to read some of Nietzsche's work for some time now because one of my favorite quotes is by him but I don't know if I could put up with all that self praise. The narcissism would wear on me. Also, I doubt I'd agree with what he says. I enjoyed reading this post though, chuckling as I read. I'm not surprised that you've read Gatto! 🙂 I went to a conference once where I heard him speak. He's so knowledgable and is not hesitant to express his ideas. I didn't agree with everything he said, but pretty close. It's "He who fights with monsters should be careful lest he thereby become a monster. And if thou gaze long into an abyss, the abyss will also gaze into thee." 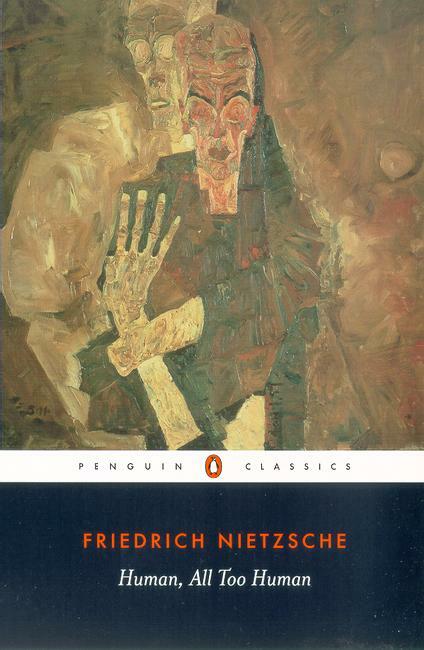 I often hear/read a simplified version of it that's often misattributed but when I looked it up, I learnt that it's from Nietzsche's "Beyond Good and Evil" so I'd like to read that. I love it because it's true. In fiction and in life sometimes we become what we fight against or adopt its characteristics. I really like this quote, yet it actually illustrates one of my problems with Nietzsche. On one hand, he will warn you about monsters and abysses, and then on the next page, he will call himself a monster or an abyss. There were often contradictions, if not in his thoughts, then how he communicated them in writing. But you've made me wonder if it was his madness talking, if I really need to read some of his earlier works to get a better sense of him. Thanks for this, Zezee. Lol. You're welcome. I didn't know he went mad until I read your post so that's something I'll look into as well. I just want to see in what context the quote appears. I wonder what the overall subject is. My favorite Nietzsche quote is from The Birth of Tragedy, in which he argues that tragic art can provide an alternative to the kind of transcendence he doesn't like in religion (because religion, as far as he's concerned, associates transcendence with guilt and life-hating asceticism). “The satyr, as the Dionysiac chorist, dwells in a reality sanctioned by myth and ritual. That tragedy should begin with him, that the Dionysiac wisdom of tragedy should speak through him, is as puzzling a phenomenon as, more generally, the origin of tragedy from the chorus. 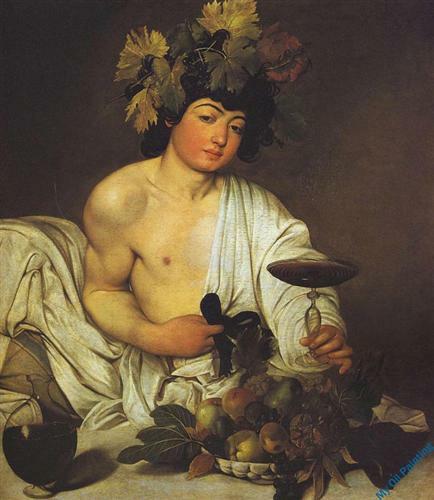 Perhaps we can gain a starting point for this inquiry by claiming that the satyr, that fictive nature sprite, stands to cultured man in the same relation as Dionysian music does to civilization. Richard Wagner has said of the latter that it is absorbed by music as lamplight by daylight. In the same manner, I believe, the cultured Greek felt himself absorbed into the satyr chorus, and in the next development of Greek tragedy state and society, in fact everything that separates man from man, gave way before an overwhelming sense of unity that led back into the heart of nature. This metaphysical solace (which, I wish to say at once, all true tragedy sends us away) that, despite every phenomenal change, life is at bottom indestructibly joyful and powerful, was expressed most concretely in the chorus of satyrs, nature beings who dwell behind all civilization and preserve their identity through every change of generations and historical movement. Wow, Beth, thanks for all this great information. 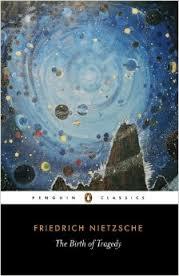 This was my first Nietzsche read, so it's interesting to hear some of his works expanded. I must say that I'm really unimpressed with Nietzsche because I think for the most part, he's very out of touch with human nature because he views everything from his own "kingdom". And his logic doesn't follow through sometimes. To label altruists as having hypocritical moral superiority is misunderstanding the word "altruist" which implies a disinterestedness and a selflessness, so one couldn't fit his description and be practicing altruism. It's impossible. later existentialists addressed this problem by identifying true compassion as spontaneous …..
Ah, how very idealistic. Spontaneous action is often driven by emotions. Yet how often do we exhibit bad behaviour by acting out our emotions, ie. yelling at people who cut us off, calling our husband/wife a name when we're mad at them, etc.? We often have to act in ways in opposition to our feelings for our own good and the good of others. C.S. Lewis talks about practicing good behaviour (even if we don't feel like it) and then the feelings for it will often follow. I know Catholicism and guilt are linked, but Orthodoxy and guilt certainly are not, so again, Nietzsche is not quite accurate, but then again, perhaps he speaks only about what he knows. I see that I'll have to have my thinking cap on to read The Birth of Tragedy. Since I'm reading so many Greek plays, it might be wise to read it after I finish them all. Thanks for your thoughts, Beth (and Nietzsche's). So interesting ….. I'm glad that I gave you a chuckle. Nietzsche definitely needs to be read with large doses of patience and a splash of humour! Good luck with it!